Home > Track > Press Releases > Did you Mark your Calendar? 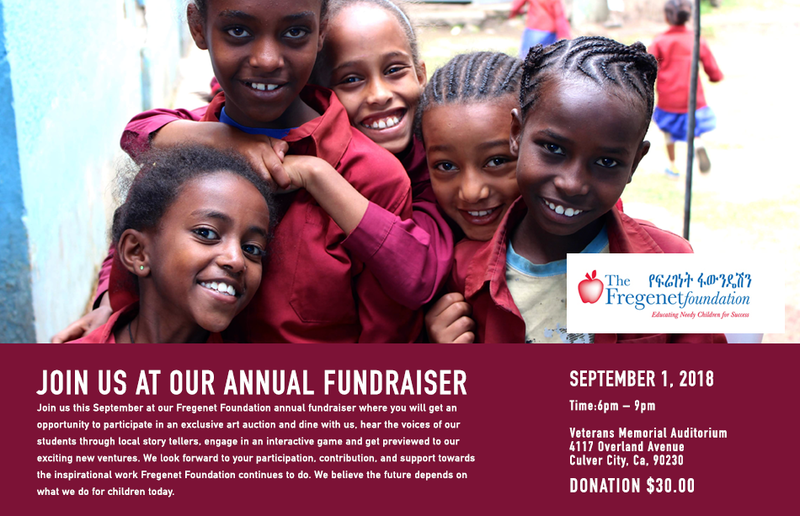 Are you ready to Join us on Saturday, September 1st, 2018 as we celebrate the work of Fregenet Foundation and hear about our exciting new and upcoming projects? Fregenet Foundation continues to provide education opportunities to children that come from underserved communities in Addis Ababa. You are invited to be part of an organization that changes the direction of the world one child at a time.